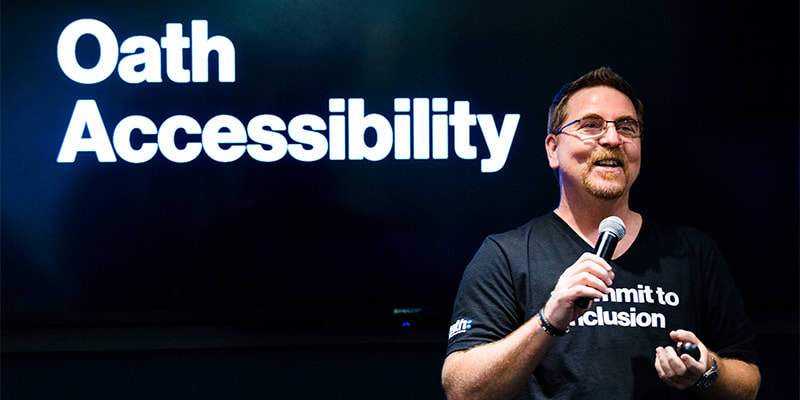 When we’re not busy working to make our products and media accessible, we’re advancing accessibility in our industry and giving back to the community. Our team sits on advisory councils and contributes to public policy initiatives. We support global advocacy with W3C WCAG and the FCC Disability Advisory Council, and have even founded non-profit organizations such TeachAccess.org. One way we work to build an future accessible for everyone is by changing the way accessibility is taught in higher education. That’s why we co-founded Teach Access, a non-profit organization that brings together leading tech companies and academic institutions to work on how to best teach accessibility principles. We provide faculty bootcamps, guest lectures, internships, challenge grants for research, and curriculum development and industry partnerships. We also contribute to open source online learning tools that reflect and teach accessibility best practices. 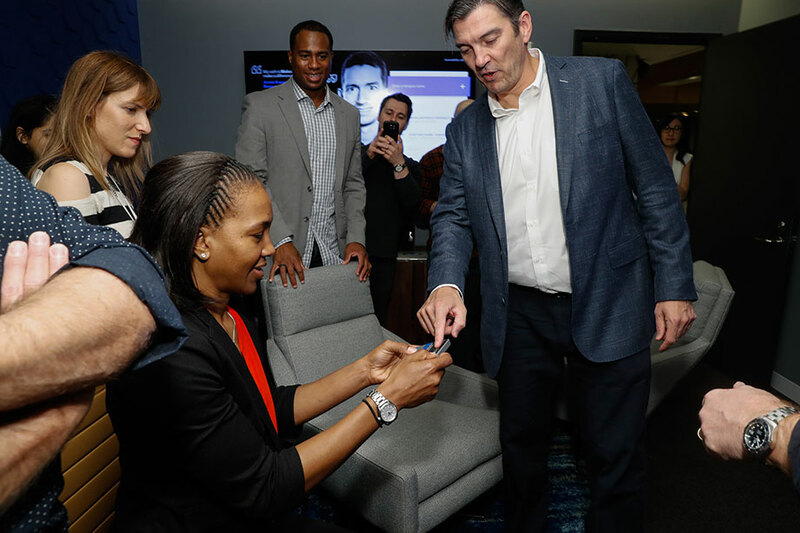 Oath CEO Tim Armstrong and Tamika Catchings in the Oath Accessibility Lab. 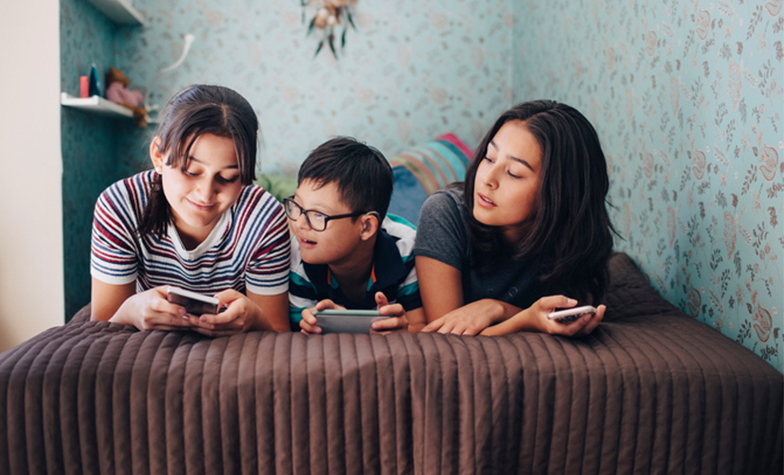 As a global media company committed to inclusion, we set out to change the way people with disabilities are portrayed in the media. Through a partnership with the National Disability Leadership Alliance and Getty Images we are creating a dignified and diverse collection of images to be used around the world. Three young people reclining on a daybed, sharing their smartphones. Creating a world that embraces inclusion starts with our own culture. That’s why our team works to make our workplace accessible for everyone through education, experiences, and connection with the Oath community.